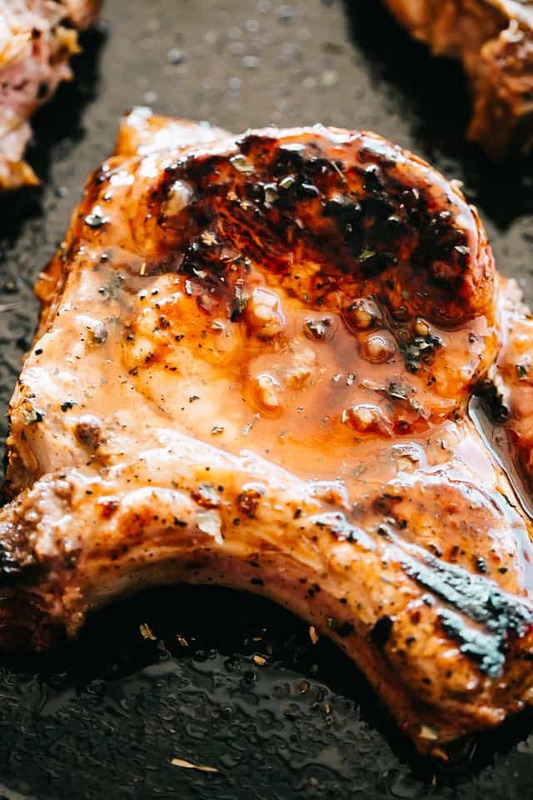 Incredibly tender and juicy baked pork chops coated in a sticky honey garlic sauce. 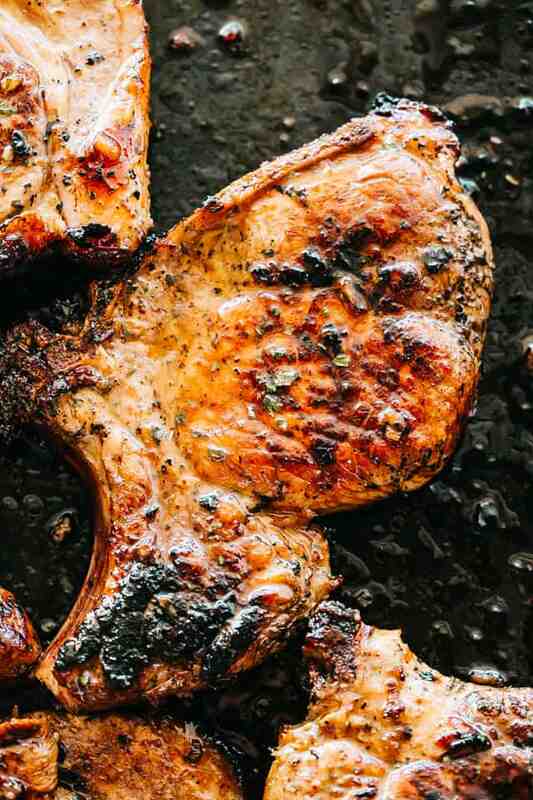 If you’re looking for an amazing bone-in baked pork chops recipe, this is it! 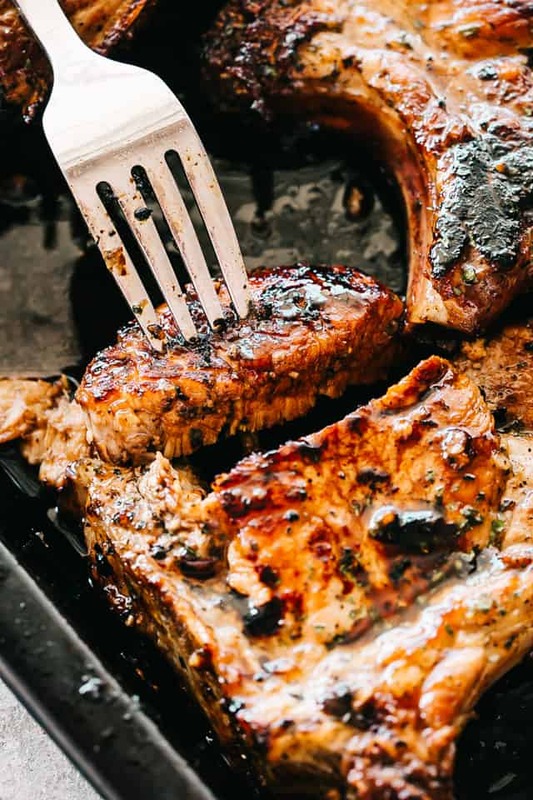 One of my favorite pork chop recipes! 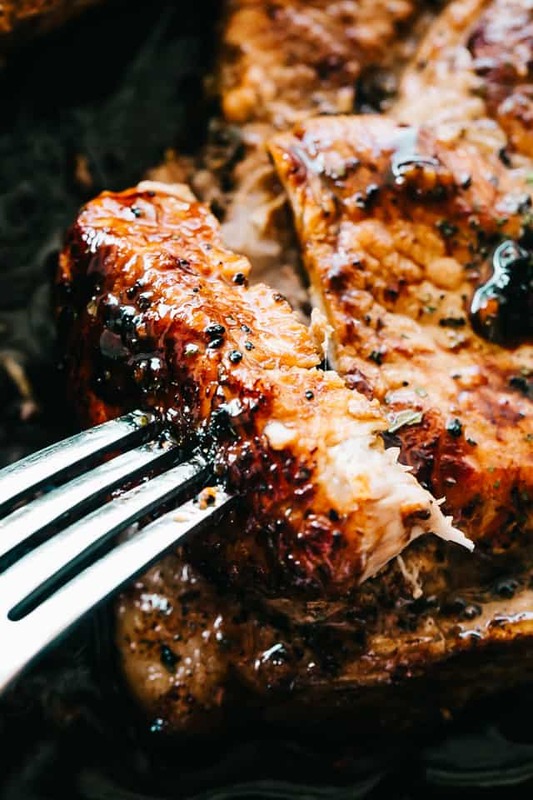 Incredibly tender & super juicy pork chops coated in a sticky honey garlic sauce and baked to a delicious perfection. Made this recipe to the tee. Fortunate, we purchased “milk fed” pork chops. Incredible flavor, tender and moist. Very easy recipe for such great flavors. Definitely a keeper. Hi, OK, so I’m confused. The video shows you baking it first, then grilling it. But the recipe says to grill it first, then bake it. Any chance you could post the recipe that matches the video (or a video that matches the recipe)? Thanks. You just want to sear the pork chops for 2 minutes per side BEFORE popping them in the oven; then continue to cook in the oven for 15 minutes, or until done. Instructions are to first, preheat oven to 400F. 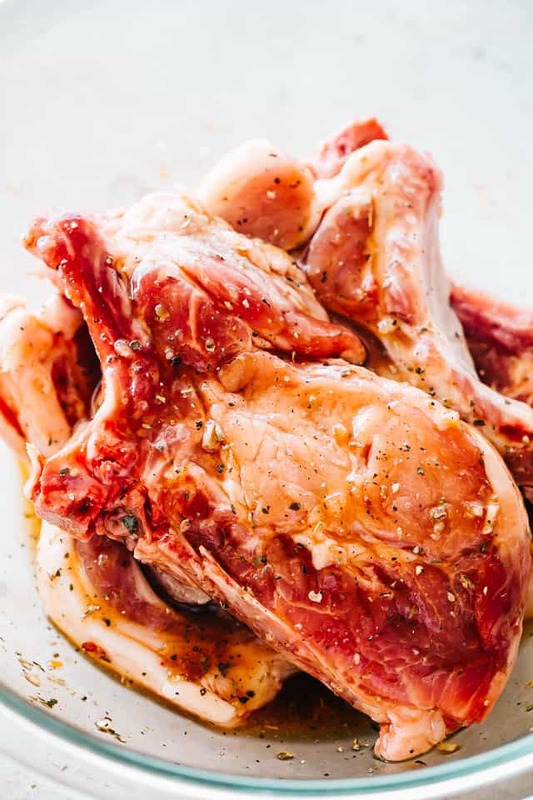 Remove from heat, add the butter to the skillet, and place pork chops in the preheated oven. Katerina, hi! This recipe looks amazing! I’m so excited to try it! Thanks! Great recipe! PLUS it went over well with my husband who is a very picky pork eater. I did add just a handful of brown sugar and cooked a few minutes longer, as my chops were a bit on the larger side: Otherwise an amazingly tasty dish. Definitely added to my families list of favs!!!!! I made this tonight for my husband and son-in-law and they LOVED IT! My SIL is a chef, so you can imagine I was happy to see him chow down on these pork chops. I made yellow rice, asparagus and a green salad – but the pork chops were the big hit of the night. Great recipe, easy to follow. Love a good pork chop! I have to try this recipe when we have them this week! Katerina, it looks so yummy! I love the step-by-step instructions, making it an easy recipe to follow! 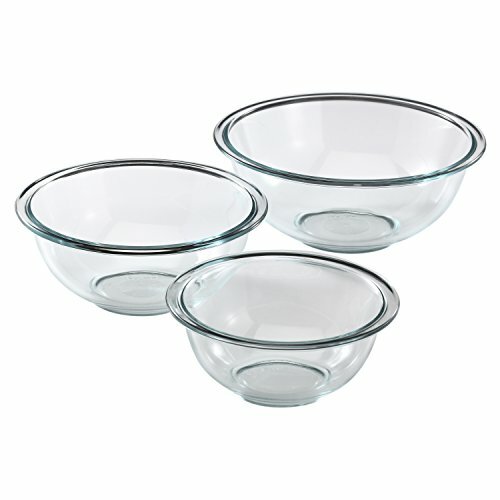 Katerina, these look so delicious! I bet my family would love for me to make these sometime. 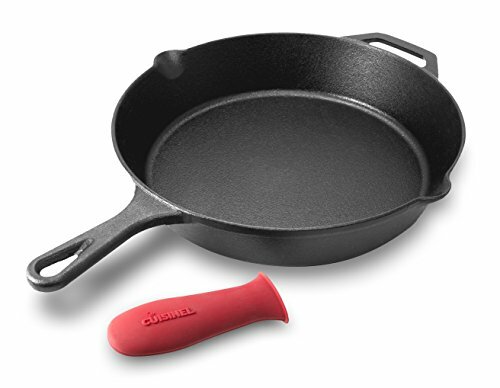 When you’re done frying, and you put the chops in the pan to bake, do you also put the sauce from the frying pan, in the baking dish? It didn’t specify and I want to be sure to get all that sticky goodness. Yep, the sauce goes in, as well. 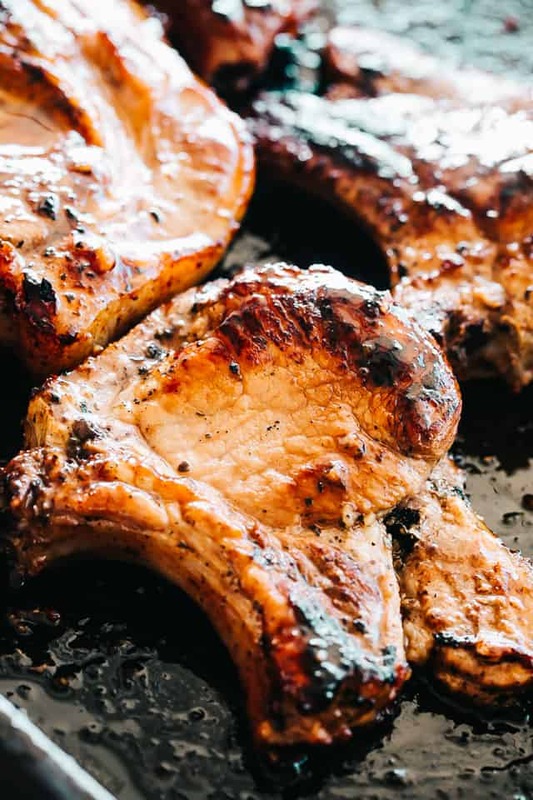 Can I use thick boneless pork chops and can I eliminate soy sauce? Family doesn’t like soy sauce very much. Um, you didn’t say what temp to put the oven at. Of course I did; all the information is there within the recipe box. Under step 1, it says preheat oven to 400F. Katerina, thanks! Very gentle pork chops recipe turned out. Very cool photos! I cooked these for dinner tonight. I didn’t have sweet chili sauce, so I used sriracha sauce instead. They were so yummy. My husband loved them. Would this sauce work well with country style ribs in a crockpot? These were great and fast. I cooked in fry pan and never put in oven. Unless super thick, they don’t require very must cooking. If you scroll down past all the pics, you will see a recipe box where all the ingredients, measurements, directions, and nutritional analysis are included. This looks absolutely tasty and delicious! I love the flavors in this! Honey garlic is a magical combination. Looks great! I pretty much want to lick my screen, but I won’t! love how tender these look! I love how flavorful these came out! This might be a new family favorite. These look SO yummy! 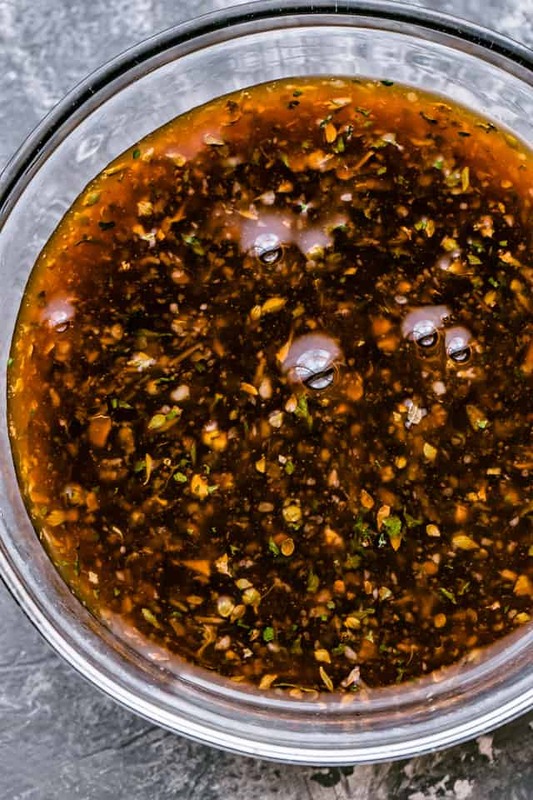 That marinade sounds incredible! Maybe I’ve underestimated the pork chop! This looks amazing! This is so picture-perfect! This is so pretty! Love the recipe too! Oh my gosh these look delicious! 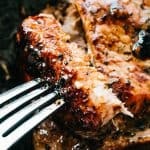 The flavors in these pork chops are WONDERFUL! The sticky, caramel honey and the garlic. A favorite, for sure!